Marley was dead to begin with . . . These chillingly familiar words begin the classic Christmas tale of remorse and redemption in A Christmas Carol by Charles Dickens. 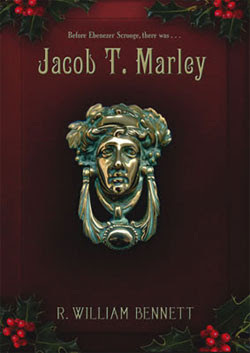 Now R. William Bennett rewinds the story and focuses the spotlight on Scrooge’s miserly business partner, Jacob T. Marley, who was allowed to return as a ghost to warn Scrooge away from his ill-fated path. Why was Marley allowed to return? And why hadn’t he been given the same chance as Ebenezer Scrooge? Or had he?